The iPad is great for viewing pictures, but it can help you take them too. I've been playing with an app called SoftBox Pro ($1.99) that makes it easy to use your iPad as a light source for small product photography. 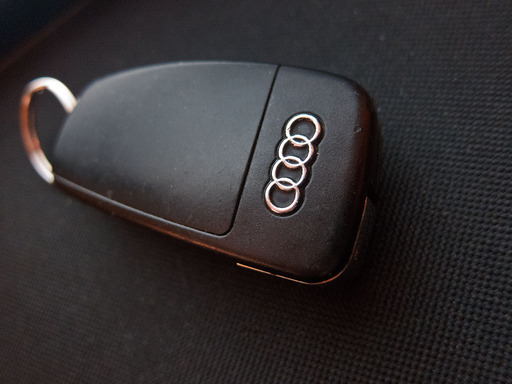 iPad "softbox" was used to illuminate this image of an Audi key. Click on image for larger version. I captured this shot of an Audi key by positioning the iPad as the sole light source. I set the ISO to 800 on a Canon S90 with auto white balance. The shutter speed was 1/30th with an aperture of f/2. Exposure compensation was -1/3. SoftBox Pro also has a variety of grids and patterns allowing you to use it as an illuminated surface to put objects on as well as a light source. It could come in handy in a pinch! Softbox pro is probably one of the best apps out there for photography on the iPad right now. It's become fairly high tech in terms of photo use, but not for long; when we see iPad 2, I doubt softbox will be needed. This app is half the app of Photo Soft Box Pro. This app is not bad and it does work but after getting both my money was better spent on Photo Soft Box. I do hope they both keep adding more to their apps so we all win.